For a nearly complete computer setup and a great project for students, there is out the Kano Raspberry Pi 3 Computer Kit. You get the Raspberry Pi computer and a case. It also includes HDMI and USB cables, an 8GB MicroSD card, and a wireless keyboard with built-in touchpad for the Kano OS. Just assemble the computer and hook it up to an HDMI display. Soon you will be ready to play around the pre-installed games, coding apps, and learning software. 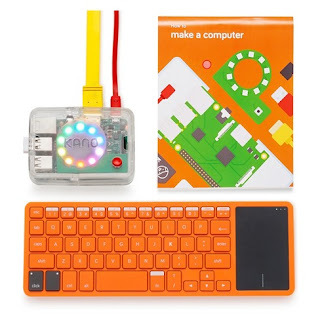 So if your a tech enthusiasts looking to learn how an operating system works check out the Kano kit. It is currently available at places like Walmart & Target.